All hail our robot overlord! I am thoroughly geeked to report that Marc Gascoigne, my Angry Robot overlord (and architect of my kickass covers) has just won a World Fantasy Award! Marc is without a doubt one of the most enthusiastic champions of fantasy the world has ever seen, and in the short time Angry Robot has been in existence, they've put out some of the most exciting books I've ever read. I say that not as someone lucky enough to be along for the ride, but as a fan. "The Putdown" to appear in Grift #1! I just got word from ace editor (and damn fine crime writer in his own right) John Kenyon that my short story "The Putdown" will be appearing in the inaugural issue of Grift Magazine. Grift Magazine is a thrice-yearly print mag dedicated to crime fiction of all stripes. In addition to the print publication, which will debut February 2012, Grift's website is already a major source of news, opinion, and interviews, and it's well worth checking out. If the print mag is half as slick as the site, I lucked out, getting in on the ground floor before John gets to big to take my calls. Oh, and while you're at it, how 'bout you polish up a story and send it their way? Submissions are open. Today at their blog, the insanely talented Amazing 15 Design team offer up a behind-the-scenes peek at the making of my Collector covers. Thanks to their tireless work and the tutelage of my Angry Robot overlord Marc Gascoigne, this process was a dream. I'm psyched they decided to throw back the curtain on it so you folks could see the journey from conception to (freakin' awesome) finished product. Okay, I let my Angry Robot overlord Marc Gascoigne have his fun breaking the news of my gorgeous, gorgeous covers (on account of he designed them) but I just couldn't wait any longer to post the images myself. The covers were Marc's brainchild, an homage to the classic Marber-era Penguin covers of the '60s and '70s, and they were executed brilliantly by the crazy-talented Amazing 15 Design. 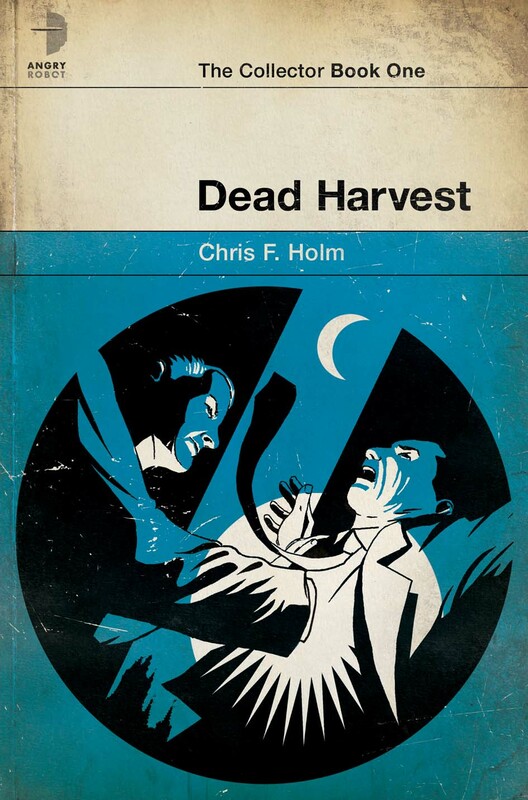 DEAD HARVEST is scheduled for release February 28, 2012, and is now available for preorder! 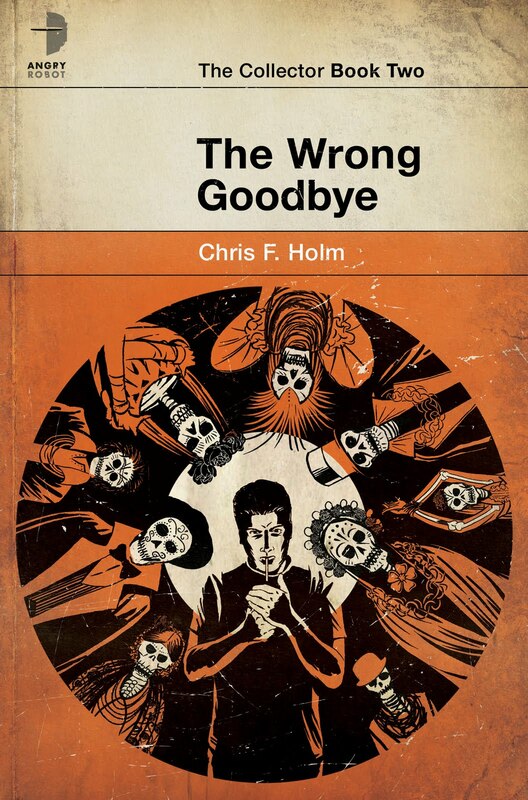 THE WRONG GOODBYE will be released November 2012. THE BEST AMERICAN MYSTERY STORIES 2011 Now Available! 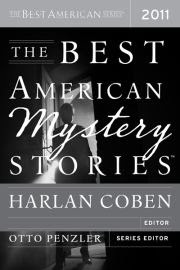 If the interwebs are to be believed, it would seem THE BEST AMERICAN MYSTERY STORIES 2011, edited by Harlan Coben and Otto Penzler and featuring my story "The Hitter," is now available! “Diamond Alley,” Dennis McFadden’s quiet tale of small-town teens confronting the murder of a popular classmate, packs a far greater punch. Family stories are equally powerful. In Christopher Merkner’s chilling “Last Cottage,” a young couple tries to outlast a neighbor determined to oust them from their waterfront home. Across cultures, mothers protect. In Richard Lange’s “Baby Killer,” Blanca struggles with an acting-out granddaughter. And although embarrassed by her profession, a Chinese mother helps her detective daughter in S.J. Rozan’s “Chin Yong-Yun Takes a Case.” An absentee father’s return challenges a wife who’s moved on in Joe R. Lansdale’s “The Stars Are Falling.” But Chris F. Holm shows in “The Hitter” that sometimes the greatest threat is to the dads themselves. If you're interested in buying THE BEST AMERICAN MYSTERY STORIES 2011, you can find it almost anywhere books are sold. Apparently, including Walmart (and no, I'm not going to provide the link.) Obviously, it's also available on Amazon, Barnes & Noble, and through your local indie via Indiebound.